Just got word of this site from an email. They stated it was a new site and that they add “new items everyday”. I will be reaching out to the site to get the missing details and see if they will set up an FAQ page to help you out. Like many review sites these days, they have a huge marketplace of products to choose from. I do like that they are upfront about whether the product is “Fulfillment By Merchant” or “Fulfillment By Amazon” before you commit to it. The marketplace also has a search function to filter through the huge list of products. One thing I find strange is that they leave the items in the marketplace that have been “Closed”. This sort of clutters up the already burgeoning store of products. 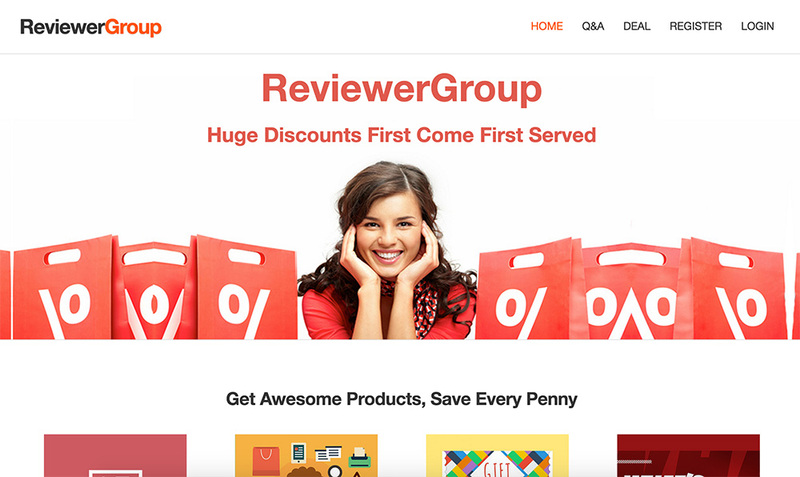 Members are NOT required or expected to review the products received from ReviewerGroup from Oct 3rd. Keep providing the best deals and promotion to our members. All promo codes are sent out at FIRST COME FIRST SERVED basis. New products with at least 40%~100% OFF discounts are posted everyday. I signed up for this site 3 weeks ago and have chosen at least 30 different products but have never been approved for a thing! In the meantime, I have been usin Review Kick, who uses the same format, and have been reviewing regularly. I am approved for about 75% of the items I request. I wanted to contact Reviewer Group but there is absolutely no contact info on their website. Same here. I get lots of products from other sites. It’s been about 2 1/2 months, and haven’t been approved for a single thing from Reviewer Group. You might contact through this email: [email protected]. I usually get reply within 1~2 days. I got 20+ products there. After I got the badges, it was much easier for me to get approval. It was great but amazon changes everything right now.